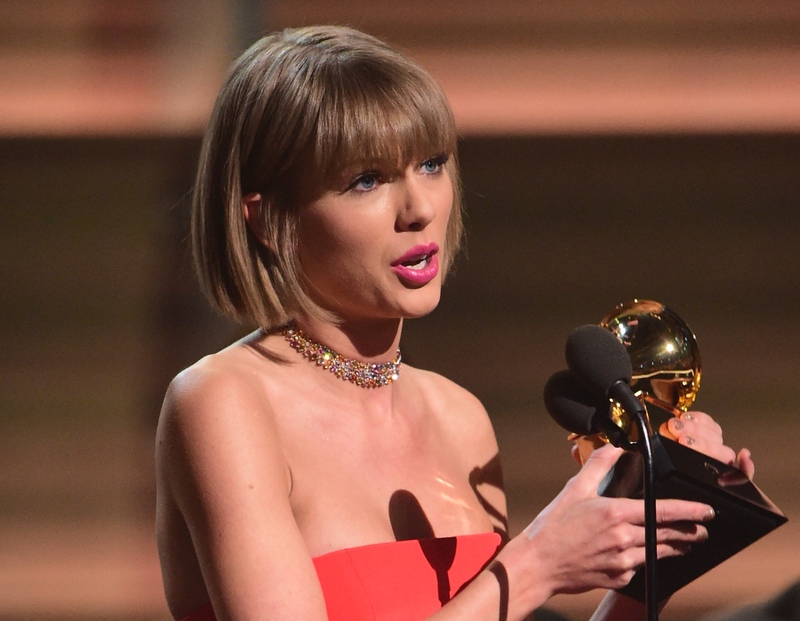 Taylor Swift took no prisoners at the 2016 Grammy Awards, and it was amazing. When she took to the stage to accept her award for Album of the Year, we knew that we were in for some kind of feminist treat. Ever since she had a self-professed feminist awakening, Swift has done her best to educate herself, and empower her fans, on the subject of gender equality, ensuring that everyone who listens to her words knows that she is in support of female friendships and females taking pride in their accomplishments. Nowhere is that more obvious than in the transcript of Taylor Swift's 2016 Grammys speech, which every fan, whether a Swiftie or not, needs to read in order to fully absorb her impactful message. After thanking the people who helped to make her Album of the Year so Album of the Year-y, Swift dropped some massive truth bombs. While it's easy to see her words as a response to Kanye West's claim that he made Swift famous, and thus as a catalyst for a new feud between Swift and West, doing so would devalue her message and its broader applications. Just check out what Swift said below. "As the first woman to win Album of the Year at the Grammys twice, I want to say to all the young women out there, there are going to be people along the way who will try to undercut your success or take credit for your accomplishments or your fame, but, if you just focus on the work and you don't let those people sidetrack you, someday when you get where you're going you'll look around and you will know that it was you and the people who love you who put you there. And that will be the greatest feeling in the world. Thank you for this moment." Whether or not Kanye West thinks he made Swift famous, Swift makes to make it clear to everyone, especially women with dreams, that nothing is responsible for their success but their hard work and the support they receive from the people who love them. That kind of universal message goes beyond any petty feud, and is something that every feminist can get behind.